The Light Brigade became immortal, their fame stretching far beyond a British remembrance. History generally remembers the Light Brigade as the victims of poor leadership and a determination to charge artillery when prudence would have called retreat. However, there are also those who consider the Light Brigade as having achieved the objectives set but been let down by inadequate follow through that would have turned a costly repulse into a stunning victory. The controversy surrounding the Charge of the Light Brigade will probably continue long into the future, but this new book is based on the letters home from those who served on that fateful day. The author has made a very good selection of previously unpublished letters that were written within eight days of the battle. This is primary source material that provides unique insight. 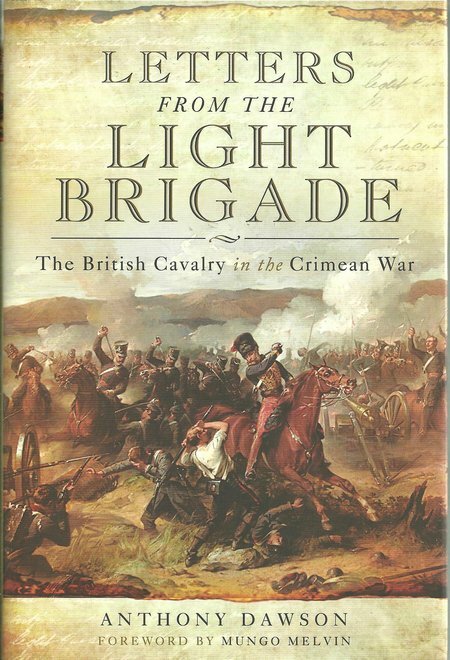 DESCRIPTION: The Light Brigade became immortal, their fame stretching far beyond a British remembrance. History generally remembers the Light Brigade as the victims of poor leadership and a determination to charge artillery when prudence would have called retreat. However, there are also those who consider the Light Brigade as having achieved the objectives set but been let down by inadequate follow through that would have turned a costly repulse into a stunning victory. The controversy surrounding the Charge of the Light Brigade will probably continue long into the future, but this new book is based on the letters home from those who served on that fateful day. The author has made a very good selection of previously unpublished letters that were written within eight days of the battle. This is primary source material that provides unique insight. A fine selection of prints in a photo plate section complements the words of those who were there. Given the current situation with a Russian invasion of the Crimea and parts of the Ukraine, this book should be recommended reading for a wide readership. The letters from the front in 1854 provide some valuable insights into a war which has received very little coverage by historians. This was potentially the trigger for major conflict. That it was contained within the Crimea was a happy accident.